Titiro whakamuri, kōkiri whakamua. Kia ora koutou. Today is a huge day for the small project team and the Community Advisory Group that have been working on this survey. We are nervous and excited as we launch Counting Ourselves. There is a long history of takatāpui, trans and non-binary people trying to improve the health and wellbeing of our communities. Whakawāhine, Queens, transsexuals, fa’afafine, and crossdressers forged a path for us all. Often it involved fighting to get treated with respect by health professionals and sharing word-of-mouth advice about ways to find hormones or get surgeries. They created the first links with health professionals, lobbied MPs (one became an MP), and took complaints to their hospitals and the Human Rights Commission. Their activism helped create the Special High Cost Treatment Pool Funding and their visibility gave some signposts for the rest of us to follow. Yet, despite their efforts, trans and non-binary people still experience stigma, discrimination and violence, and do not have access to medically necessary healthcare. That was the finding of the Human Rights Commission’s Transgender Inquiry in 2008. Despite some initiatives, 10 years later the situation is largely the same. The growing size of our communities, and a legacy of underfunded public health services, mean trans and non-binary people still cannot find trans-competent, inclusive care to support our emotional and physical wellbeing. Our community groups remain the first point of contact for many people exploring their gender identity or expression, or seeking support, and almost all of that work is unpaid. Many of our pioneers are no longer with us. Just recently, our communities have marked the passing of Dana de Milo and Jennifer Edwards. More and more often our communities are sharing their fears about how they will be treated by aged care services. Some trans people who transitioned a long time ago, especially those who were given inappropriate types of hormones, are worried about the long-term impacts on their health. This research is part of a long tradition of our communities sharing our stories and pushing for change. Yet, right now we have so few statistics about the trans and non-binary people’s lives, because our communities are almost always invisible in other people’s surveys. So, we are Counting Ourselves instead! This survey is the best opportunity we have ever had to find out what it is like for trans and non-binary people in Aotearoa today. We will have data about the services trans people are, and aren’t, getting from DHBs, and how many people gave up even trying to apply for Special High Cost Treatment Pool funding. Our questions ask you to share the challenges you face but also the positive things that make a difference in your life. 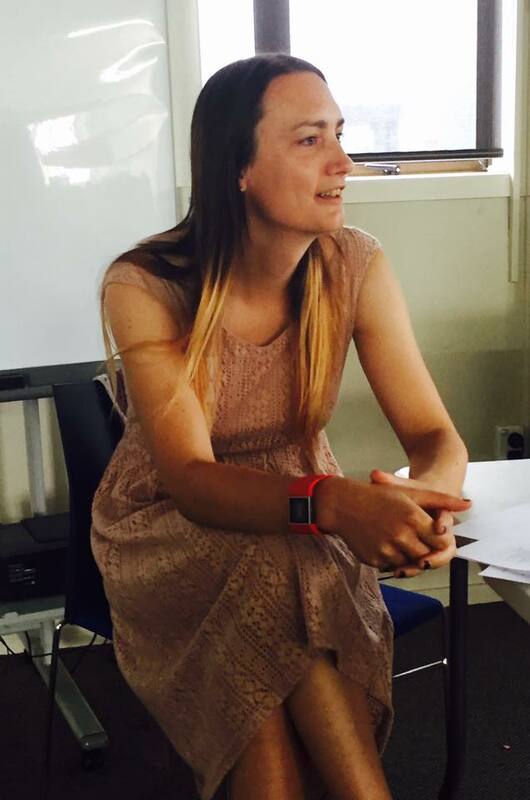 This picture is of Dr Jaimie Veale, the trans woman who had the vision for this survey, was awarded Health Research Council and Rule Foundation funding, and leads our project team. It was taken on the day our Community Advisory Group members kindly donated their time to meet in Auckland in February. We were all aware how rare it is for trans and non-binary people from across the country to be able to come together as a community, and the responsibility we had to create a survey that would collect as many different stories and voices as possible. Together we tried really hard to make the survey shorter, so it was easier for people to complete, but there are too many questions that our communities have never had a chance to ask or to answer. We have waited a long time to get funding to do this research, and it may be years before another large trans community-led research project is funded. We need data now to create the change our communities need. All of the questions were chosen because they will help our communities push for change. Together they will create a picture of our diverse communities, our lives, and our visions for the future. So, this means Counting Ourselves is a long survey. When you sit down to fill it out, make yourself comfortable with a drink and some snacks. If you need a break, take one. As long as you have ‘cookies’ enabled in your browser, you can close the survey and come back any time in the following 4 weeks to continue where you left off. Wherever you are in Aotearoa, we hope you know how much we value the time you are taking to complete the survey. If you live in Aotearoa, but are travelling overseas at the moment, we want to hear from you too. We promise that you can be stealth and fill out this survey – as no-one will know who you are. Your answers are anonymous. Thank you for being part of this historic research. Please help us get the word out to as many different parts of our communities as possible. Share the Facebook posts, follow us on Twitter, or download or request copies of our poster and flyer and put them on your local noticeboard. We’d love to see your photos of the survey poster popping up all over Aotearoa. The Counting Ourselves survey would not be possible without the support of our communities, including our Community Advisory Group members and our social media team. We have also relied heavily on other community organisations, academics, health professionals, parents of trans, non-binary and gender creative children, and government officials who made comments on our draft survey. Thank you all for that feedback, it has made our survey stronger. We hope you will all continue to work with us when we have the survey results, so that together we can improve trans and non-binary people’s health and wellbeing.